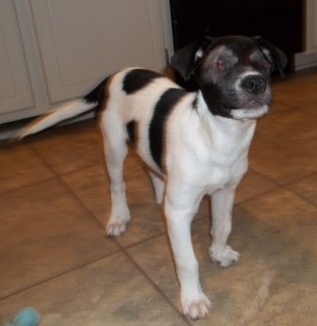 Mirage came to Wags missing one eye due to a birth defect. Due to the same defect the other eye was suffering from chronic infection and it had to be removed as well. Wags found her wonderfull home where nothing slows her down. she goes on walks and follows the children around the house by scent alone. 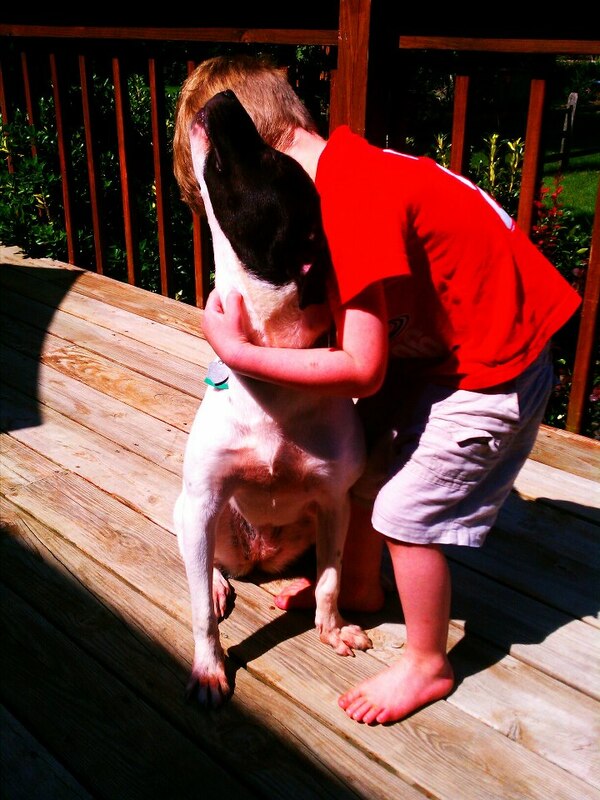 She also get lots of love and affection as well as gives sloppy dog kisses.